Carmelita Riley has been practicing since 2007. 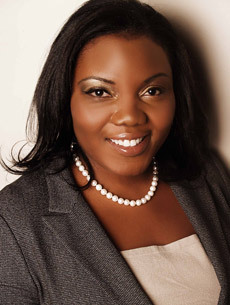 She is admitted to practice law in Jamaica, the State of New York, and in the US Federal District Courts for the Eastern and Southern Districts of New York. Carmelita’s legal career began in one of Jamaica’s oldest law firms where she was actively engaged in corporate mergers and acquisitions, public sector contracting, intellectual property law, corporate management and compliance. During this same period she acted as corporate counsel and legal advisor to the newly formed United Music Industry of Jamaica (UMIJAM), a joint venture project between the Jamaican music industry interests, the European Union and the Government of Jamaica designed to propel the development and expansion of the Jamaican creative industries. In 2010, Carmelita founded Carmelita Riley and Associates, PLLC, a boutique NYC law firm specializing in US Immigration law and Intellectual Property Law. She has acted as immigration counsel to US and foreign multi-national businesses and individual clients. These clients come from diverse regions of the world including the Ukraine, China, Sierra Leone, France, England and the Caribbean. Corporate clients range from small to medium sized entities, professionals, athletes, entertainers and recording companies. Specific client services include employment-based applications resulting in both non-immigrant visas and permanent resident status. Carmelita also acts as counsel to a NYC based medical malpractice and plaintiff’s personal injury law firm where she focuses on litigation and trial support. She is also the Vice President and Director of Legal Affairs for Sretlaw Media Co. Ltd., a Jamaican domiciled multinational agency specializing in media and sports marketing, project management and financing and media syndication and distribution. Various roles as a television show producer, TV host and concert promoter have added to the rich and varied experiences informing her practice of law. Carmelita received a Bachelor of Laws, LL.B (Honors) from the University of the West Indies and a Certificate of Legal Education from the Norman Manley Law School. Past and present professional associations include the Jamaican Bar Association, the New York State Bar Association, the American Immigration Lawyers Association and the Healthcare Corporate Compliance Association.